Of the more than 18,700 fans at the Staples Center in Los Angeles watching Friday’s Stanley Cup overtime thriller, many were wearing jerseys and hats for the hometown team. There were also those in New York Rangers gear, and at least one representing a lost but hardly forgotten NHL team that never made it to the Stanley Cup: the Hartford Whalers. That fan is an old friend of mine from the Gayle King Mika Brzezinski days at WFSB. 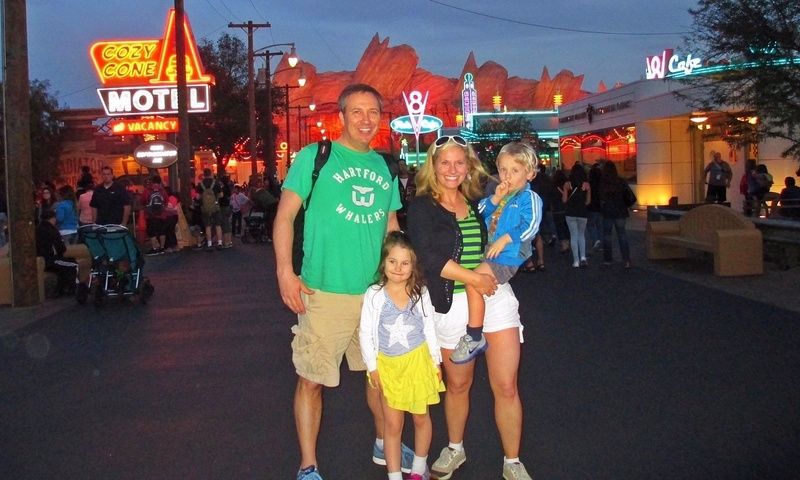 Mike Long, a native of Simsbury, who swapped life in suburban Hartford for suburban Los Angeles with his wife and kids. 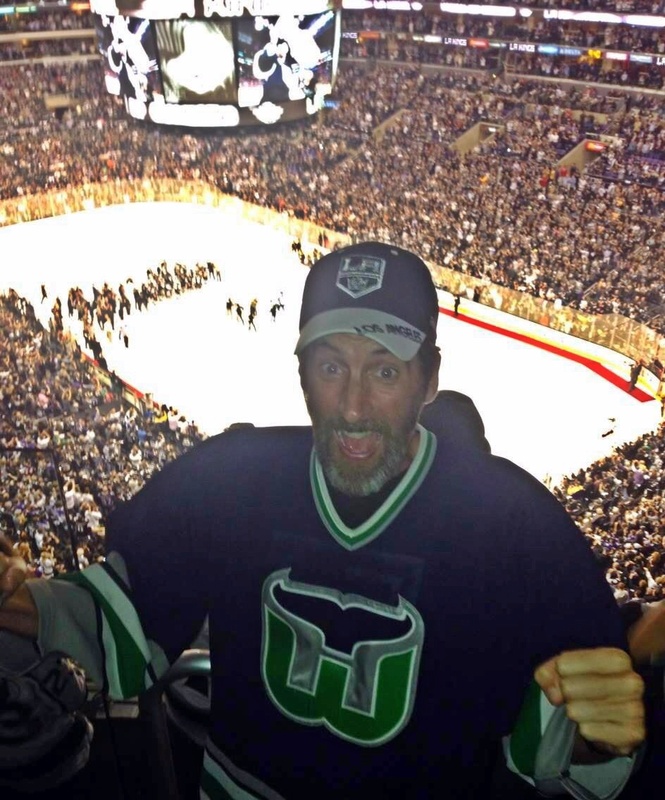 A Kings fan now, he longs for the day when the NHL restores the Whale to his native state. Long is not alone in Southern California promoting the Hartford Whalers. Actress Megan Fox was spotted a few years back in Hollywood sporting the best logo in sports, and Snoop Dogg wore a Whalers cardigan on the Jimmy Kimmel Show last week. Maybe they got the idea from when I wore my Whalers shirt to Disneyland! So funny you decided to break out the Whale and break the tradition of wearing my Home (black) Kings jersey, eh?